Welcome back to one of the last editions of Digital Digest for 2011! Don't worry, we still have two more for this year, and we'll be back every Saturday next year, so we aren't going anywhere! In these last few weeks of the year, news and releases are really starting to drop off, but we do have some news for you, as well as a review of the separate releases Growing Pains: The Movie and Growing Pains: Return of the Seavers from Warner Archive. Let's get going! Manufacture-on-demand DVD products have become more prominent in the DVD market lately, and now, another studio is stepping in to the game. This time, the "new" studio to announce manufacture-on-demand releases is Lionsgate. The studio plans to release more than 100 TV and movie titles through the program, which began this week in a partnership with Amazon CreateSpace. The only TV series announced through this so far is ABC Family's Wildfire - Season Four, but hopefully there will be more to come in the future. You can check out this article for more details. MPI is pushing forward with another release of Here's Lucy, as was speculated a few weeks ago. Now, the release date of February 28 for Here's Lucy - Season Five. The set comes at a $29.98 MSRP and can be ordered now. Tuesday (December 20) is the last day for studios to release new products leading in to the Christmas holiday, so it is a very light day with only two releases. First, MPI has the long-anticipated The Donna Reed - Season Four: The Lost Episodes. Also, Fox has Futurama - Volume Six (DVD/Blu-ray Disc). We hope to have reviews of these sets soon. 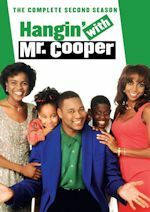 There were dozens of family sitcoms in the '80s that came and went, and some stood the test of time better than others. One of those that really did stand the test of time was the sitcom Growing Pains. 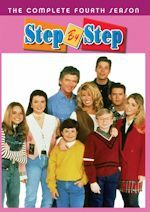 While it started as a series about a family where mom Maggie Seaver (Joanna Kerns) was out working while husband Jason Seaver (Alan Thicke) was the stay-at-home dad, it evolved significantly over the years into a series about a family that attracted a large audience every week. In 2000, eight years after the series ended (and during a brief period where reunion movies were huge), ABC broadcast a made-for-TV movie based upon the series, Growing Pains: The Movie. The movie also had a sequel in 2004, Growing Pains: Return of the Seavers. Now, both of these are available as separate releases from Warner Archive. In Growing Pains: The Movie, we begin as Jason Seaver begins to catch fans up with what has happened in the past eight years while he is writing his latest book. At the same time, he is also preparing a big surprise for his 30th wedding anniversary, by reuniting the entire Seaver family, which doesn't seem to happen as often as the family has grown up. But in the midst of all of this, Maggie gets a very nasty surprise as she is fired as a staffer for the Congressman in the Seaver's district in Long Island. Unsure of where to head in life now, one of Mike and Kate's kids (they are now married, by the way) makes a suggestion that she run for Congress against the man who just fired her. The entire family works together for nearly a year to put together a campaign and see that she becomes Congresswoman Maggie Malone (using her maiden name, as she often did in the series). The runtime of this movie is 1:27:00. Growing Pains: Return of the Seavers picks up four years after the original reunion movie, and is set in 2004. In this movie, everybody has gotten older, but in particular, Jason and Maggie have aged and are ready to retire. Part of the problem is trying to decide exactly what to do with their retirement, as Jason and Maggie have completely opposite ideas as to what they want. The situation only gets further complicated with the fact that they plan to sell their home, something that Mike and Carol are completely against. On top of all of that, all of the kids seem to be having problems that they can only turn to their parents to solve. The runtime of this movie is 1:29:00. Both DVDs come in very standard packaging, but the artwork on the packaging is very professional, and even matches up with the artwork used on the season sets that Warner has released in the past. On the cover of each case, we have the title and a cast snapshot, along with a brief description of the movie and another cast snapshot on the back. Inside, all you will find is the disc, which has artwork similar to the cover artwork. Both DVDs have incredibly bland and generic menus. The menus have nothing at all to do with the movies, and all we have is a picture of the Warner Bros. Studios water tower and an option of Play. There is nothing else, at all. As for chapters, they are placed every ten minutes throughout each DVD, which means that they do not necessarily correspond with the scene changes. While neither of the movies were remastered for these DVDs, it really wasn't necessary to begin with. Both of them looked fine when they originally aired, and still look great now. It seems, though, that these were both done JUST BEFORE the beginning of the high-definition era, so they are in full-screen as opposed to widescreen. I'm pretty sure that is how they both originally aired on ABC. The audio is presented in Dolby Digital Stereo. And, while these were originally closed-captioned on ABC, they are not on these DVDs, which is unfortunate. The process for closed-captioning something for broadcast is different than it is for doing it for a DVD release, but those broadcast closed-captions would have in fact been available, and it is a shame that they couldn't find a way to use those. There aren't any special features on the DVDs at all. What would have been nice to see would have been some behind-the-scenes footage about the production of the movies. I recall seeing plenty of this material on entertainment tabloid series such as Entertainment Tonight and Extra while they were producing the movies in Vancouver. It is great to see both of these movies on DVD, particularly considering that I didn't think either one would ever make it to DVD. Aside from the fact that the DVDs were obviously very rushed and not a whole lot of effort was placed into them, both of these DVDs are perfectly adequate for fans. It would have been nicer if they had put both movies into one single set instead of creating two separate DVDs, though. While these reunion movies are not nearly as great as the original series was, it is still great to see them on DVD. Hopefully, these releases will spark more interest in the original series and we'll see more seasons of that released... in other words, hopefully, the "best is ready to begin!" 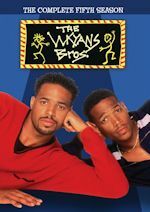 TheTVDB.com (www.thetvdb.com) - Recently, I was searching for a website that provides essential information about many TV series in a nice, clean, and easy-to-read format. In searching for this, I came across one that I had never heard of before, TheTVDB.com. As the name suggests, the website is a television database, where you can search for virtually any TV show that has ever existed and find information about those series. 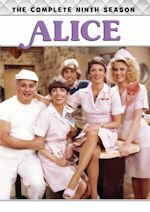 You won't necessarily find everything that you need on this site, but for virtually every series that you can even think of, you can find all of the information that is available from the Library of Congress, such as episode lists, airdates, production information, and (for many series) episodes synopses. The website isn't necessarily an all-inclusive website, and definitely needs more additions to the database, but that is part of the reason why we have included this as the Click of the Week. The website is not created and run by one person or a small few, but this is a website much like Wikipedia where fans can update the database to make the website better and more detailed. The basic information that is provided on the site is very good, but the open interface allows it to infinitely expand to a greater website. As an example of what the website could be with more complete information, check out the page for The Office. It certainly isn't an all-inclusive page like individual websites dedicated to a series would have, but it provides a lot of the good "essentials" in a simple, elegant, and not over-bloated fashion. Hopefully, this site will become even more complete as time goes on, and become an excellent resource for TV fans needing to find basic information quickly.